Kindle Oasis is the new top-end Kindle eBook reader by Amazon. It’s 30% thinner and 20% lighter than previous Kindle versions. A bump at the bottom of the device functions as a hand grip. The page press button introduced in Kindle Voyage has been evolved into a real, physical page turn button. The design of the new Kindle Oasis differs markedly with the rectangular block design employed by other Kindles. 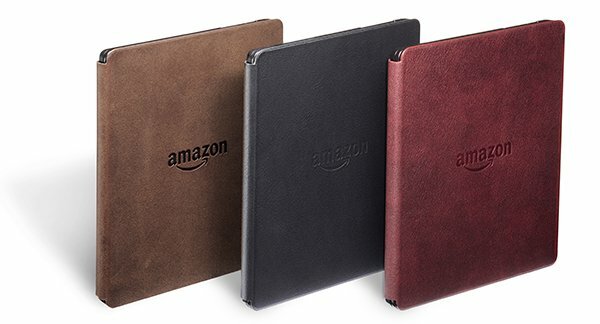 Amazon’s designers have opted for a more ergonomically friendly asymmetrical design for Kindle Oasis. The design goals have been two-fold. The first goal was to make it easier for users to switch hands while holding the device. The second one was to make the Kindle more comfortable to hold using one hand, which is the purpose the bump at the bottom serves. Source: Amazon. Profile with 8.5 mm bump. 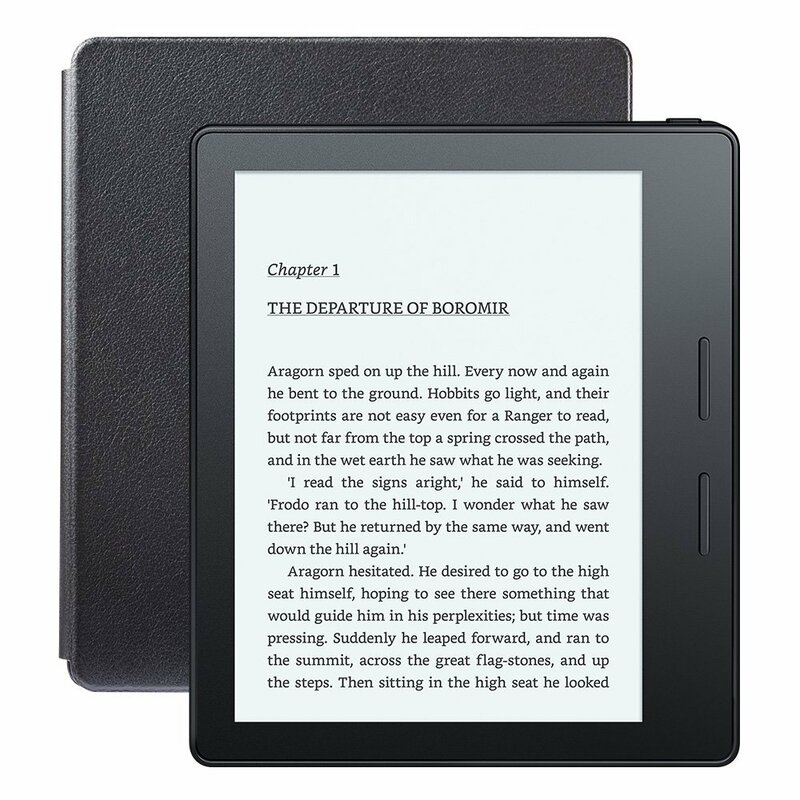 The sleak design has a thickness of only 3.4 mm compared to the Voyage’s 7.6 mm and Kindle Paperwhite’s 9.1 mm. This implies that there’s less space for the battery. Hence, Kindle Oasis’ battery lasts two weeks compared to one month for other Kindles. The good news is that Amazon is aware of the reduced battery life caused by the new design and has therefore included a charging cover that adds an additional six weeks of battery life. Source: Amazon. Battery charging cover. What about the screen? It’s essentially the same E-Ink Carta screen as the one found in Kindle Voyage. However, the Oasis has 10 LEDs compared to the Voyage’s six and Paperwhite’s four, which results in better front lightning. The new Kindle Oasis isn’t cheap. It costs US$290 (NZ$423) for the Wifi version with ads. The ads free Wifi version is US$20 more expensive than the one that contains ads. The 3G model costs US$360. The device starts shipping on April 26th. Previous Previous post: HP Elite X3 – Smartphone or Hybrid Tablet?